Marlen UltraSeal™ Flexible Barrier Ring is a hydrocolloid barrier which bends, stretches, twists and pulls. Adjusts to accommodate most stomas, regardless of shape and size. Creates an ultra secure seal that prevents leakage and extends pouch wear time. Marlen UltraSeal™ Flexible Barrier Ring molds easily to fill into crevices and irregularities. 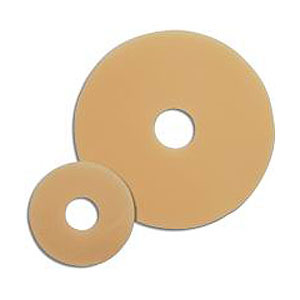 Adheres well to both the body and the ostomy appliance. Removes easily, eliminating skin irritation.